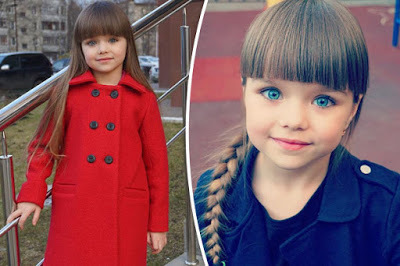 Anastasia Knyazeva, a popular Russian child star, may only be six-years-old, but she’s already amassed a whopping 500,000 Instagram fans. Daily Star UK reports that the genetically-gifted girl has already kickstarted her career by posing in big ad campaigns and last year she was unveiled as the face of Little Miss Aoki – a luxury couture fashion line. 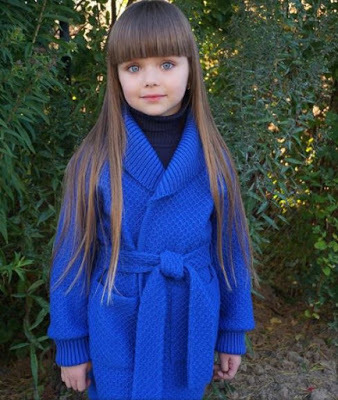 Anastasia is currently represented by President Kids Management and she’s landed a deal with Russian brand Chobi Kids. Her mum has been running her Instagram account since she was just four, and fans constantly flood the comments section with adoring words. Many people are comparing Anastasia to French beauty Thylane Blondeau who was previously hailed as the “most beautiful girl in the world” when she stormed onto the fashion scene at the age of four. She walked her first runway for Jean Paul Gaultier before most kids start primary school and by the age of six she was on the cover of Vogue Enfants. The child star continued to make headlines by posing for a Vogue Paris shoot where she was snapped in a low-cut dress, stilettos and full face of make-up aged 10. The spread sparked outrage and was slammed for “sexualising children”. She made headlines again when she got her first “adult” cover at 13, posing for the French fashion magazine Jalouse, which dubbed her the “new Kate Moss”. But Thylane continued to pursue her budding modelling career and now at the age of 16 she’s well on her way to being the next big supermodel.